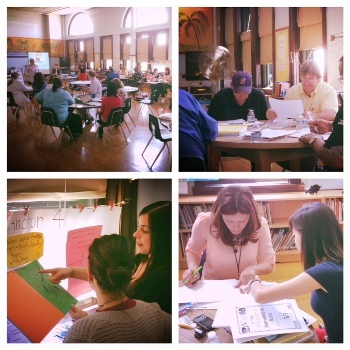 At Brentano, we are proud of our involved parents and families and we work to ensure our school is a center in our community. Brentano families visit frequently for volunteering, classroom celebrations, festivals, performances, movie nights, and monthly parent coffee talks. Contact Assistant Principal Alcantara to learn more about ways to be involved and opportunities to volunteer. Come to a classroom celebration, festival, performance, movie night, or monthly parent coffee talk! Brentano is proud to be part of the Logan Square community. We celebrate our neighborhood through walking field trips, by welcoming community members as visitors and helpers, and by joining in on events and performances like the Logan Square Farmers Market and the Logan Square Arts Festival.